Santa Clara, California, is a city of 115,000 people, and is located 45 miles south of San Francisco. 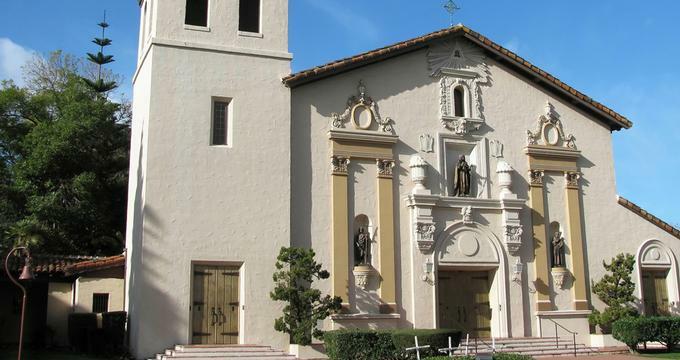 In 1777, a Spanish Mission was established there, and dedicated to Saint Clare de Asis, for whom the city is named. Santa Clara is in the heart of Silicon Valley, and many high tech corporations make their home there. 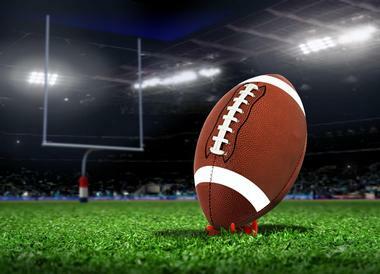 Santa Clara, CA, is home to the National Football League's San Francisco 49ers, who play in the city's Levi's Stadium. Here are the best things to do in Santa Clara. Mission Santa Clara began its life as a Franciscan mission church in 1777, north of where it sits now on the grounds of Santa Clara University. Forced by floods, fire, and earthquakes to move from its original site, the church that stands now was built in 1822. The Franciscan mission to convert the Ohlone people had some success until smallpox and measles decimated the Ohlone. In 1857, the mission was gifted to the Jesuits, who established Santa Clara University, California's first institute of higher education. The mission church, now the university's student chapel, is open seven days a week, and brochures for self-guided tours are available near the entrance. Artifacts and remnants of the mission era are preserved and may be viewed by visitors. 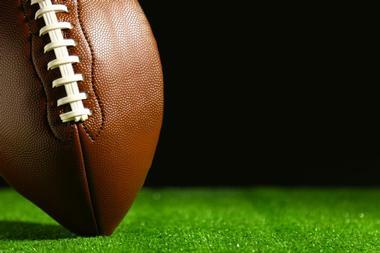 Levi's Stadium is the 68,000 seat home of the National Football League's San Francisco 49ers. The 49ers season runs from pre-season in August through its regular season concluding at the beginning of January. World-class entertainment and concerts are held here on a regular basis. The stadium houses the 49ers Museum, and the 49ers Team Store. Public tours may be booked through Ticketmaster, and include a 90-minute tour of the stadium, and admission to the 49ers Museum. Groups of more than twenty people can also arrange for private tours. Near Toyota Gate F, the stadium offers seated dining at Bourbon Steak, which features fine American food with an emphasis on steak and fresh seafood, and Bourbon Pub, which serves re-invented pub food in a casual atmosphere. 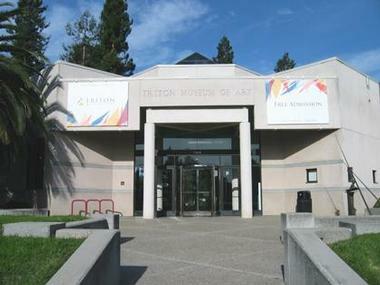 The Triton Museum of Art displays local, regional, and national art, with an emphasis on art and artists from the Bay Area. It collects and exhibits contemporary and historical California works of art, and has a mission encouraging gender and cultural inclusiveness. The building itself is a piece of art, it high ceilinged with pyramidal skylights, and a graceful curved glass wall overlooking its seven acre sculpture garden. 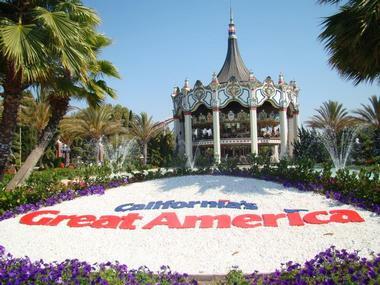 California's Great America is a large and exciting theme park with rides, attractions, a water park, and dining opportunities. Thrill seekers will love the wide range of roller coasters at the park, as well as the twenty-two story drop tower, and the Xtreme Skyflyer, which mimics hang gliding and skydiving high above the park. There are rides for families, including bumper cars, a carousel, swings, and a flume ride. Young visitors to Planet Snoopy will find child-friendly rides including a miniature roller coaster, kid-sized swings, and an adventure playground. Boomerang Water Park is fun for all members of the family, and has many water slides, a lazy river, a wave pool, and cabana rentals. The 49ers Museum is housed in Levi's Stadium, the home of the San Francisco 49ers. The museum has eleven unique gallery and exhibit spaces, and is open daily year-round. It is an exciting and engaging interactive museum for 49ers fans and for football fans in general. Its education center uses football as a platform to teach schoolchildren about technology, engineering, science, math, and art, and field trips are welcome. There is a twenty minute introductory movie near the entrance of the museum, a large exhibit of 49ers memorabilia which includes balls, jerseys, cleats, helmets, and Super Bowl rings, and an interactive area where visitors can try on jerseys and helmets, throw a football, and learn 49ers cheers. Lifelike statues of players past and present and a timeline of the 49ers history make great photo opportunities for fans. 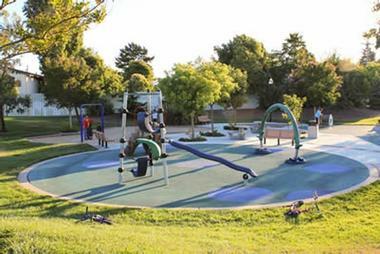 Central Park is the hub of recreational activity in the Santa Clara community. At its heart are the 30,000 square foot Community Recreation Center, and the George F. Haines International Swim Center. The park has two lighted tennis courts, and a eight more in the Santa Clara Tennis Club, two softball fields, basketball courts, a children's play area, an exercise course, a lawn bowling green, and an amphitheater. There are both family and group picnic areas with barbecue pits and public restrooms, and a lake. The Saratoga Creek divides the park into two halves. Parking is available. Ulistac Natural Area is a 41-acre open space dedicated to the preservation of native Californian vegetation and wildlife. It has several distinct natural habitats, including grassland, coastal scrub, savannah, riparian woodland, and wetlands; the Guadalupe River runs through the park. There is a bird and butterfly garden containing nectar plants such as fuchsia and monkey flower, which attract hummingbirds and a variety of butterflies. The park has nature trails with interpretative signs. The land of Ulistac Natural Area was once a seasonal camp for the Ohlone Indians; Ulistac was an Ohlone chief. The land has been used in various ways: as grazing land for cattle and sheep in the time of Spanish and Mexican conquest, as agricultural land for 19thcentury Chinese settlers, and as a golf course in the mid-20th century. 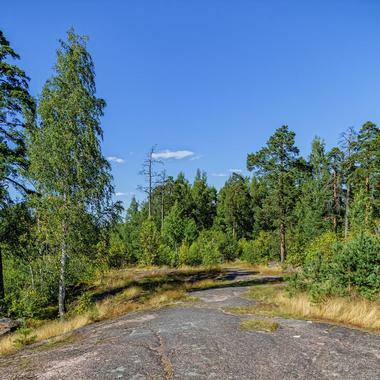 The land now belongs to the city, and has been restored to a wild and native state. 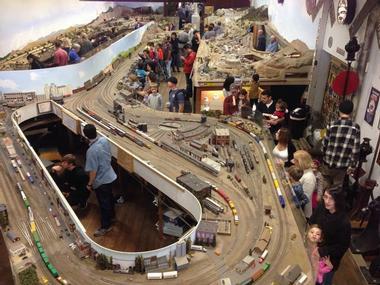 The South Bay Historical Railroad Society is run by railroad enthusiast volunteers who staff the society's library, buildings, and the Edward Peterman Museum of Railroad History. The museum is housed in the old Santa Clara railroad depot, and has a large collection of historical artifacts, including signals, locomotive headlights, and a velocipede, which is a three-wheeled hand-pumped cart used for track maintenance. The museum maintains a business class car from the Oregon-Washington Railroad, and has two superb operational model train tracks, one in HO and one in N gauge, which depict various eras in railway history. The society has an extensive library of railroad-related books and materials which can be viewed by society members; admission to the museum is open to the public. 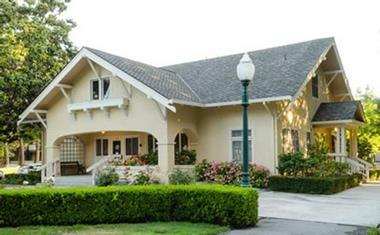 The Harris-Lass House Museum is the last farm property in the city of Santa Clara, and is named for the two families who lived in it over a 125 year span. Built in 1865 in symmetrical Italianate style, it was significantly enlarged and remodeled in the 1890s. The museum consists of the farmhouse, a classic California barn, a tank house, a summer kitchen, a landscaped garden, and a Heritage Orchard. It is dtillfully furnished with Lass family belongings. There are occasionally docent-led tours; call ahead and make a tour reservation. School and group tours are welcome. The Headen-Inman House, named for the two families who resided in it, was built in 1913, and moved to its current location in 1985. This lovely bungalow, built in the Arts and Crafts style, has been turned into a museum housing antique furnishings belonging to the Inman family, including a bedroom suite, dining room furniture, and an old pump organ. One room is reserved for photographs and artifacts depicting the history of Santa Clara, while the Santa Clara Founders and Pioneers Room has archival information about the early settlers in this area. The archives are a terrific source for people interested in local genealogy. Rotating exhibits by the Santa Clara Art Association add color to the home's interior. The Santa Clara Fire Museum is a volunteer-run museum located in the old Training Center behind Santa Clara Fire House #2. 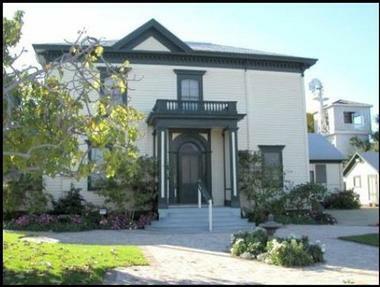 It houses memorabilia dating back to the founding of the Santa Clara Fire Department in 1855. The museum contains documents, photographs, and equipment such as hoses, nozzles, and fire extinguishers. 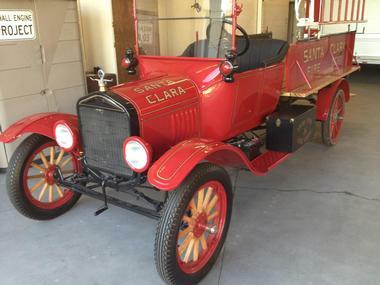 Of particular note is a restored Model T Ford truck that was purchased by the Santa Clara Fire Department and used as a hose truck from 1921-1945. It has been lovingly rebuilt and restored by volunteers. Visitors are welcome to the museum, and it is also open to school groups, with educational programming geared towards fire safety. The War Memorial Playground is a one-acre facility ideal for toddlers and preschoolers and their caregivers. The playground is unique: it has large sculpted ants and an anthill for climbing on; they were designed and made by California artist Francine Agapoff. Padded ground near the slides and swings adds to the safety of the park; dogs are not permitted in the park so the grassy areas are ideal places for tots to run around freely. The park has sandboxes for children to play in. 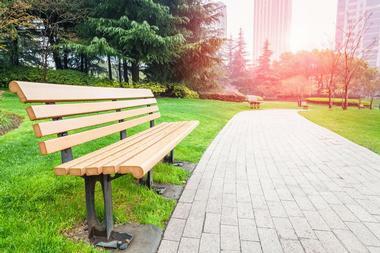 There are picnic areas and benches to sit on while the children play. A flagpole has memorial plaques under it, honoring the war dead. 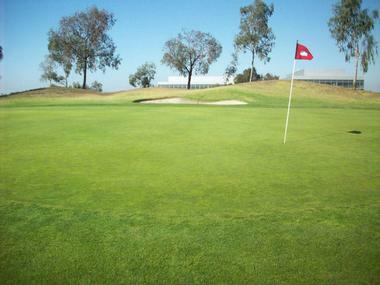 The Santa Clara Golf and Tennis Club has a par 72, 6,704 yard championship golf course, extensive golf practice facilities, and seven lighted tennis courts. The practice facilities include a lighted and covered driving range with thirty-three stalls, a large putting green, a chipping green, and a practice bunker. The club has a full-service restaurant and bar, and facilities are available for rent for special events and weddings. Golf instruction is available for men, women, and groups; children will benefit from summer golf camps that focus on improving their golf game and fostering friendships. 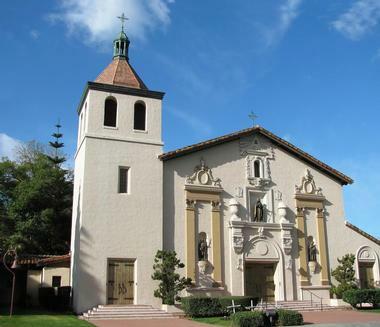 The de Saisset Museum is located on the grounds of Santa Clara University, adjacent to Mission Santa Clara. Founded in 1955, the museum began as an art gallery showing about one hundred works by the painter Ernest de Saisset. The museum now has a dual focus on art and history, and has a mandate for education through diverse and accessible exhibits. 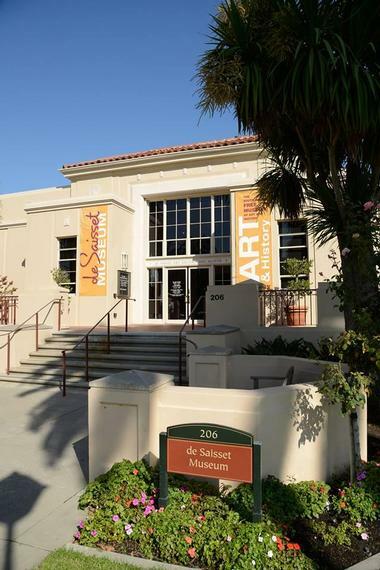 The de Saisset Museum concentrates on art from the San Francisco Bay Area and the Santa Clara Valley, but also houses European and American art works from the Renaissance forward. The historical part of the museum has an excellent collection of Mission-era liturgical vestments and an exhibit on California history.